Last year I wrote an article about how to effectively use social media to recruit for Taglit-Birthright, the free 10-day trip to Israel for Jews between 18-26. Today, I hosted a 1-hour training for the University of Texas Hillel and came up with even more ways. Flappy Bird, the addicting iPhone game that has the internet buzzing and users frustrated makes for a perfect parody video. As of Sunday, February 9, 2014, you can no longer download it from the app store. The first shot is of a few students who look like they are frustrated and playing Flappy Bird. The next shot, someone walks in and asks if they are playing the addicting game, and comments on how difficult it is. Little does the audience know, but they aren’t playing Flappy Bird, they are trying to sign-up for the trip before registration opens, which has them Flappy Bird frustrated. This is a good way to promote when registration opens. It also can be a 30 second video, which is easy to consume. I always encourage Hillels that I work with to find students who have high social capital. What do I mean? A student with high social capital is in numerous groups on campus. Perhaps they are in student government and in a fraternity/sorority. 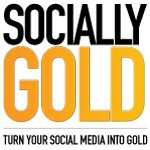 Students with high social capital will help your message spread faster. Create a unique hashtag and have your students share photos from their trip to Israel using that hashtag. Publishing a photo and using the hashtag can enter them into a contest to win X. The contest provides an incentive for students to participate, but it also gives you metrics to measure your participation year over year. Make an effort to increase the number of hashtag uses on an ongoing basis. Also, don’t forget to encourage contest participants to post the link to register with their post. Incentives will be key to your success with this one. Set up a photo booth with a giant cutout of an old Polaroid photo (Example in the slideshare above). When someone stops by your booth, ask to take the picture using their phone, so they can immediately share it. Encourage them to tag you as well. You’ll see huge growth in your page by doing this. At the bottom of the photo, put the phrase “I love _________ about Israel.” When they share the photo, they can add what they love about Israel. Their friends will start to chime in too. “Registration starts in x days”. Get your fans hyped with engaging photos and a countdown to the day that they can register for the trip. Keep a wait list so students can provide their emails prior to registration opening. Post a question on your page with a multiple choice options. I love ________ about Israel. A. Humus B. Camels C. Tel-Aviv and D. Other (user-generated favorite). Have a few students start the answering and have them text or email their friends to respond to the question as well. There is no reason that you have to rely on organic responses, feel free to force it a little. You can also enter commenters into a contest if you want to encourage more responses. Ask users to change their Facebook profile and cover photos to promote registration. The ideal size for profile images is 180×180 and cover photos are 751×315. 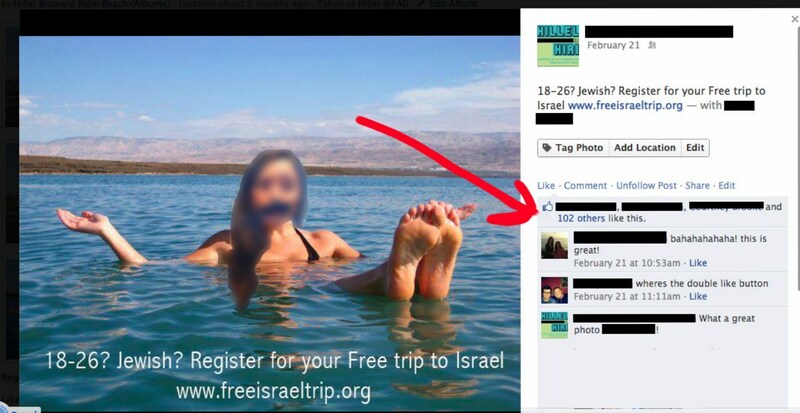 These are just a few ideas to recruit for Taglit-Birthright using social media. If you enjoyed this article please share it.